Following the class of 2018 post “the P word” Anna Boniface spoke to Dr Nicky Keay to learn from her expertise on periods, athlete hormones and the role of the contraceptive pill. 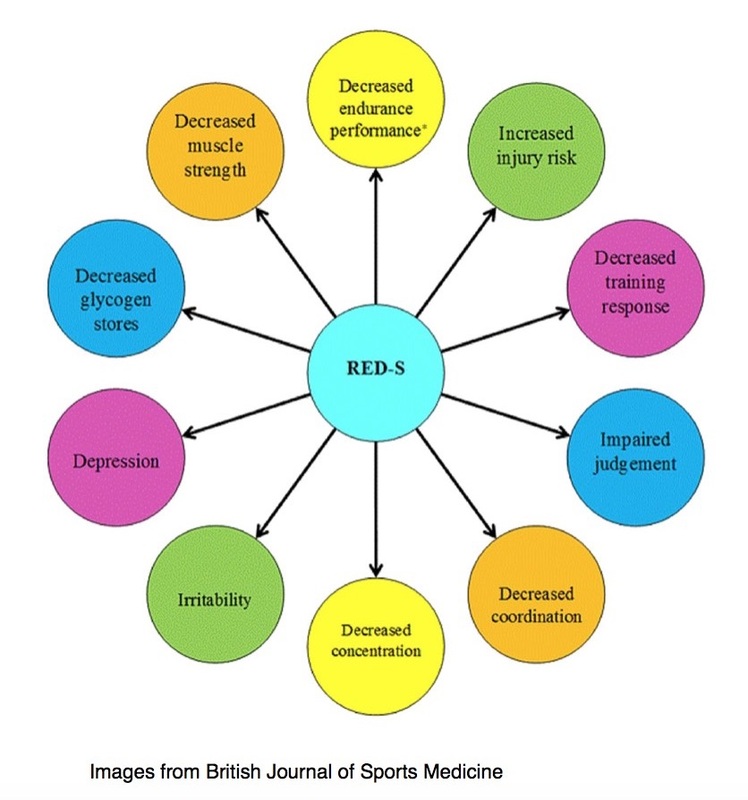 Dr Nicky Keay is no stranger to Relative Energy Deficiency in Sport (RED-S). The sports endocrinologist has extensive clinical expertise in RED-S and worked as a research fellow investigating anti-doping of the human growth hormone. A regular contributor to the British Journal of Sports Medicine, Dr Keay has talked about her own experience with RED-S. A background in ballet, she didn’t start her periods until 32 years old. This was following the birth of her two children where she finally learnt how to relax. 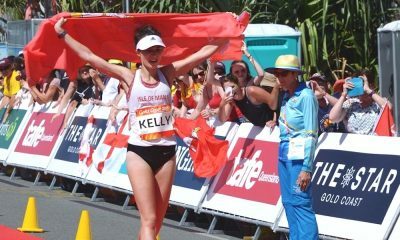 From both her clinical, research and personal experience, Dr Keay enlightened to me the importance of hormones for both female and male athletes. 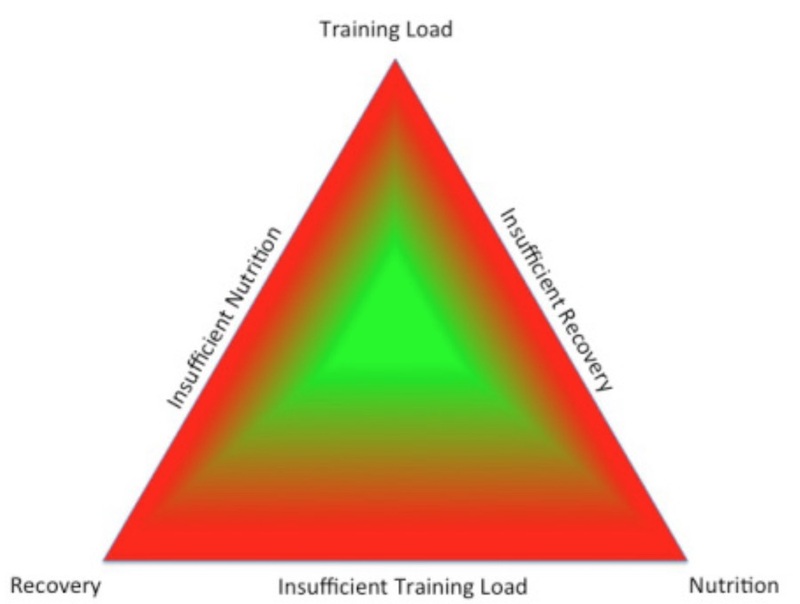 What is the difference between the Female Athlete Triad and RED-S? The female athlete triad is part of the RED-S continuum. 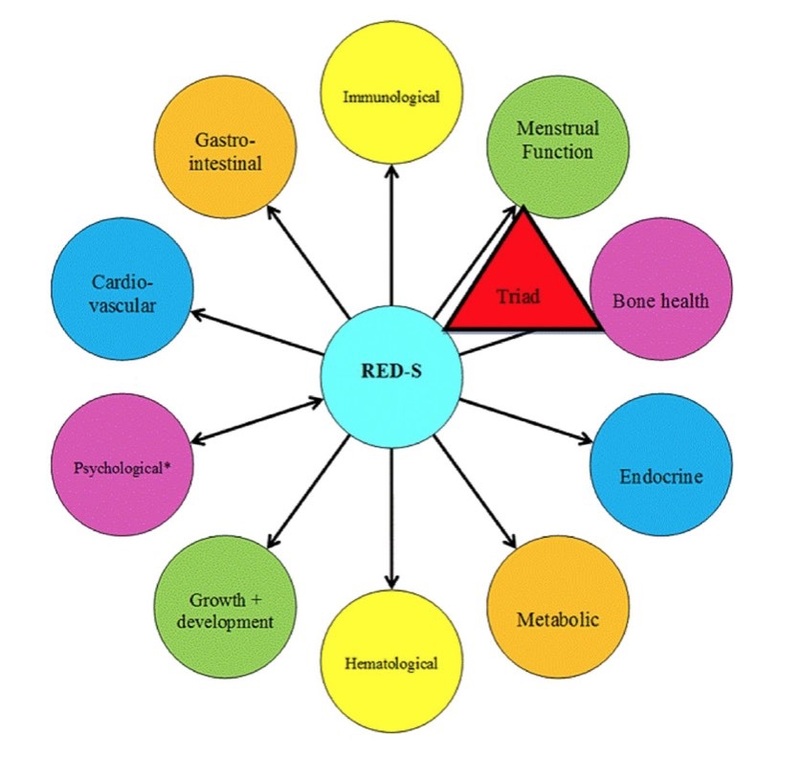 RED-S highlights that there is a broader spectrum of symptoms, affecting multiple systems. These directly impact performance. Further research is ongoing to elucidate the details in some areas, as RED-S is a relatively new concept. However, the crucial importance of RED-S, beyond the established female athlete triad, is that by highlighting these other elements, it helps detect those without stress fractures and includes male athletes. Using the triad alone, these athletes can slip under the radar. Not having periods. Sounds like an advantage? 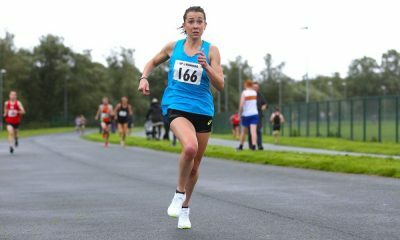 Why are periods important and how can they help performance? What makes you run faster? Training hard. We train to gain physiological adaptations. Better VO2 max, shifting the lactate curve to the right. Stronger, more efficient muscles. But what drives these adaptations? Hormones. Abuse and manipulation of hormones are a frequent method of doping. Performance is enhanced and dependent on hormone levels. They are stimulated during sleep and recovery, which are essential for the adaptation process. Hormones are anabolic. They are responsible for bone health, protein synthesis, tissue repair and muscle growth. This does not advocate using performance-enhancing drugs but highlights why it is important to have healthy hormone levels. This is dependent on the balance of training, nutrition and rest. Men have no obvious indicator of their hormonal health. This makes problems difficult to detect, although regular morning erections is usually a sign. Careful monitoring of frequency of colds, fatigue and “not feeling right” despite rest is often a sign of hormonal upset in both men and women. The hypothalamus is your neuroendocrine gatekeeper. Integrating internal and external inputs. It interacts with the pituitary influencing our hormones, which is essential in the body’s homeostasis regulation. The HPA axis works on a feedback loop. Chronic stress through overtraining, under fuelling, poor sleep and excessive anxiety can desensitise the HPA axis. The stress hormones cortisol and noradrenaline cause the body to interpret a constant “flight or fight” response. The body’s perception of safety is threatened and amenorrhea occurs. The oral conceptive pill. Is this the answer to amenorrhoea? The oral conceptive pill gives you a withdrawal bleed. This is NOT a period. Athletes are often given a false sense of security taking the pill. Essentially it is reinforcing a medical menopause and masking amenorrhoea. Does this pill protect bones? Oestrogen is not the only influencer on bone health. IGF1, Ferritin and Testosterone are also involved. Research is now indicating that the pill can increase binding protein globulins which reduces IGF1 and testosterone levels, therefore impacts bone health. It advised not to be given the oral conceptive pill for the treatment of amenorrhoea. 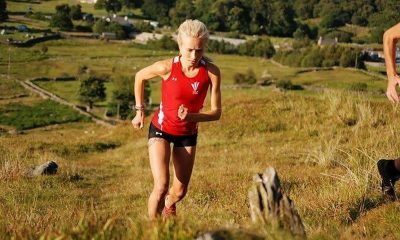 Amenorrhoea – what actions should an athlete take? Primary amenorrhoea is not starting your period by 16. Secondary amenorrhea is cessation in periods for six months in a woman (whether athlete or not!) with previously regular menstruation. Either one of these is not normal. It firstly requires further investigation for a diagnosis of exclusion. Could there be a medical cause for the amenorrhoea? Sinister pathology must be ruled out before confidently saying its functional hypothalamic amenorrhoea. A medic should only give the RED-S diagnosis once all else has been excluded. When seeing a GP, be insistent on further investigation or specialist opinion. Not having periods should never be brushed off as just exercising too much. Fuel in the tank – never run empty: Energy deficits for the smallest amount of time will cause problems. Restrictions within diets can play havoc with hormones even if meeting caloric demands. – Fuel immediately on wakening and regularly through the day. – Nail the 30-minute window for post-training replacement. – Top up during training. – To run fast, don’t fast. Always eat before training. – Carbs, protein, dairy, fats – keep them good quality and don’t exclude them. Temporary taper: During recovery of RED-S scaling back the training will help bring the body back into balance. Some even remove themselves from training completely. – Plan training around life commitments. – Monitor metrics such as heart rate and fatigue scores. – Ensure any training limitations are clearly set and are reviewed regularly. Destress: RELAX. This will be specific for individuals. Learning how to switch off is paramount for happy hormones and reducing cortisol levels. – Not the oral conceptive pill! – Hormone replacement therapy may be required. As it’s been highlighted, calories in must be equal to calories out. If this achieved, training load should not impact menstruation. A great example is triathlete Gwen Jorgensen posting her training metrics. 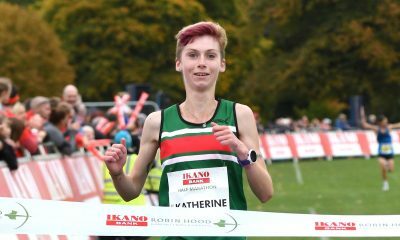 She demonstrates that you can be a world-class athlete AND have periods (and a child!). – Prioritise sleep and recovery. That’s where your hormones have the greatest impact. Don’t let your training go to waste by neglecting it. – The pill is a FAKE period. It is not bone protective and could even be destructive. – Never run on empty. Don’t restrict, don’t fast, eat regularly and eat balanced. – Relax – protecting the body from the flight or fight response and feel in a safe place. 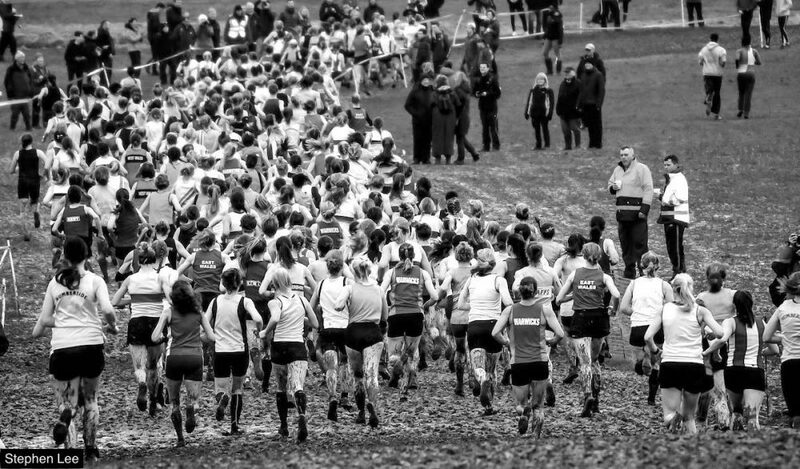 Track and record menstruation like any other training metric. It’s the barometer to your hormones! Dr Keay is chairing the British Association of Sports and Exercise Medicine Spring Conference with world-renowned speakers in the field of sports endocrinology. Athletes, coaches and health care professionals are all welcome. Further information can be found here.